Mount Olive Lutheran Church / Pr. 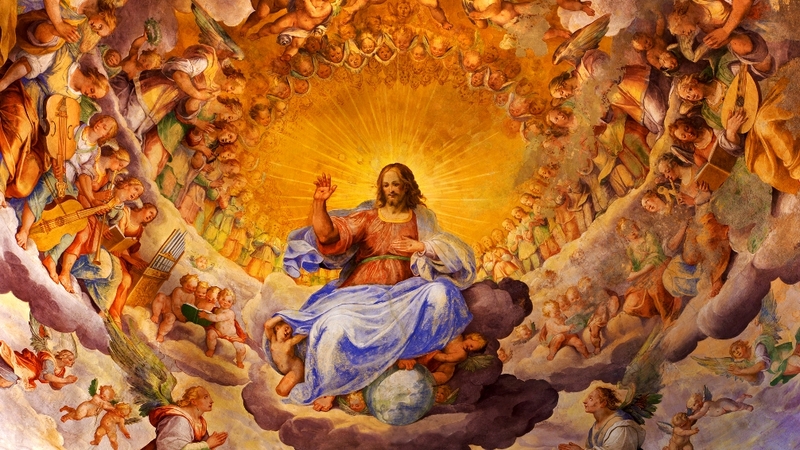 Ted A. Giese / Sunday November 11th 2018: Season of Pentecost - Remembrance Day / Mark 12:38–44 "Putting Everything In"
Let us pray: May the words of my mouth and the meditations of all our hearts be acceptable in Your sight O Lord. Amen. There are many things that you can sacrifice or give to others that are not purely or obviously of a financial nature. For the longest time and longer still people have talked about how precious time is, how time is money; In 1719 a fellow named Robert Newcom recounted, and I paraphrase, ‘I remember hearing of a notable Woman, who knew well the inherent Value of Time: Her Husband was a Shoe-maker, and an excellent Crafts-man; but paid no attention to how the minutes passed. In vain did his Wife encourage him to consider that Time is Money: and being too smart for his own good he never really heard what she meant by what she said; and every night he would curse the local clock tower when it’s bells chimed because day by day and in the end those bells rang out the sound of his failure.’ Which is to say that the stewardship of our time is very important, that the time we have is also a gift from God and worthy of our attention. When we give of our time we might also ask, “Are those to whom it is being given appreciative of what they are receiving?” Do you waste time? Do you have time to give? Do you appreciate the time you’ve been given? 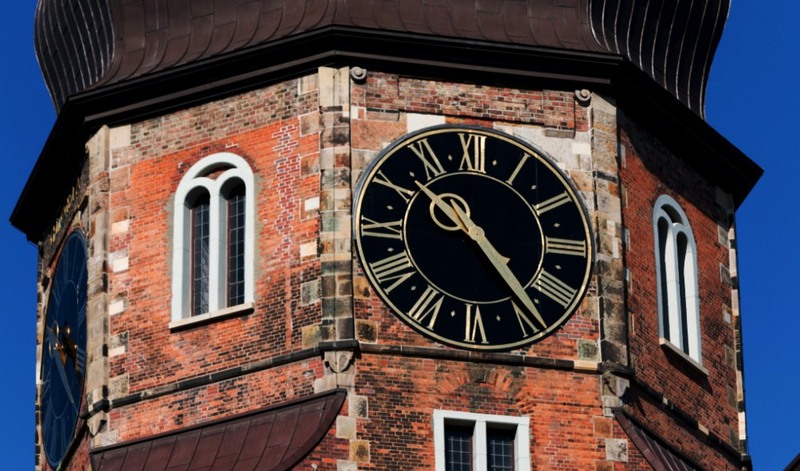 Are you considerate of the time people give to you? However is there something more valuable than time? What might it be? Today on this Remembrance Day here in Canada we remember those who gave their lives to protect the lives of others, those who gave of themselves, their blood, their sweat, their tears, every talent that they knew they had and every talent they didn’t know they had in them. 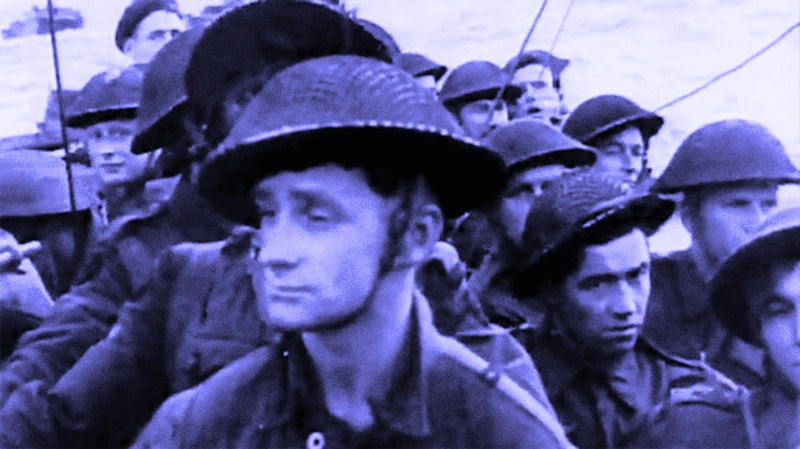 They volunteered, they were conscripted to fight and to serve and to protect without knowing if they would survive the experience of war or whether they would survive and live out the rest of their days, or whether their time would be cut short in the trenches in the heat of battle for the greater good of winning the war and protecting their nation. 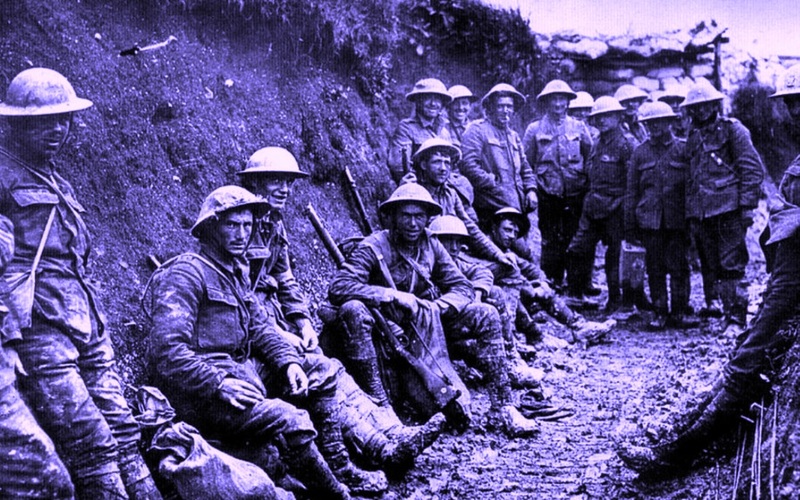 In WWI and II, and in the conflicts that followed after, they gave their time as well as their flesh and blood, they put on the line every future nickel they would earn, every dollar all that they had, all that they might ever have. This is a gift, a sacrifice. Jesus said to His disciples and He says to you, “This is My commandment, that you love one another as I have loved you. 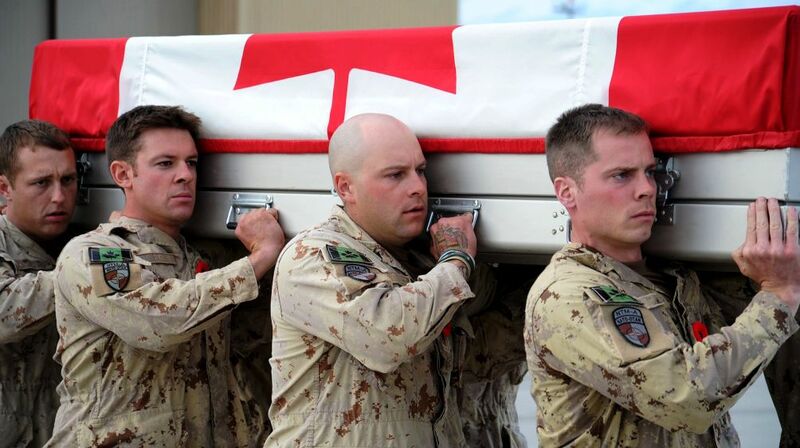 Greater love has no one than this, that someone lay down his life for his friends. You are My friends [, Jesus says] if you do what I command you.” What a Friend we have in Jesus: What does 1 John chapter 4 say? “In this is love, not that we have loved God but that He loved us and sent His Son [Jesus] to be the propitiation for our sins. Beloved, if God so loved us, we also ought to love one another.” Yes Jesus, “for the joy that was set before Him endured the cross, despising the shame [of it and died laying down His life for you, His friends, and not just you but all people, even His enemies], and [after He was risen from the dead that first Easter Sunday and then was ascended to heaven 40 days later this same Jesus sat down] at the right hand of the throne of God.” He is “the founder and perfecter of [your faith,] our faith. My vows I will perform before those who fear [You]. 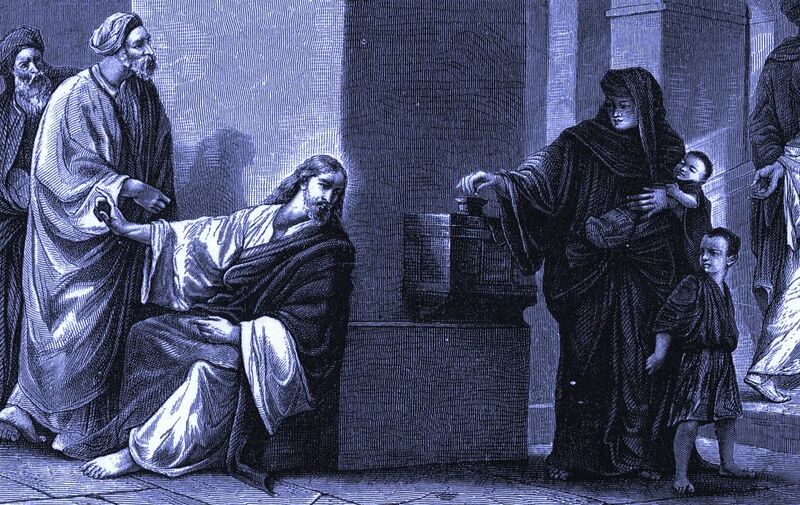 What did Jesus say of the widow casting her only coins into the treasury at the Temple? 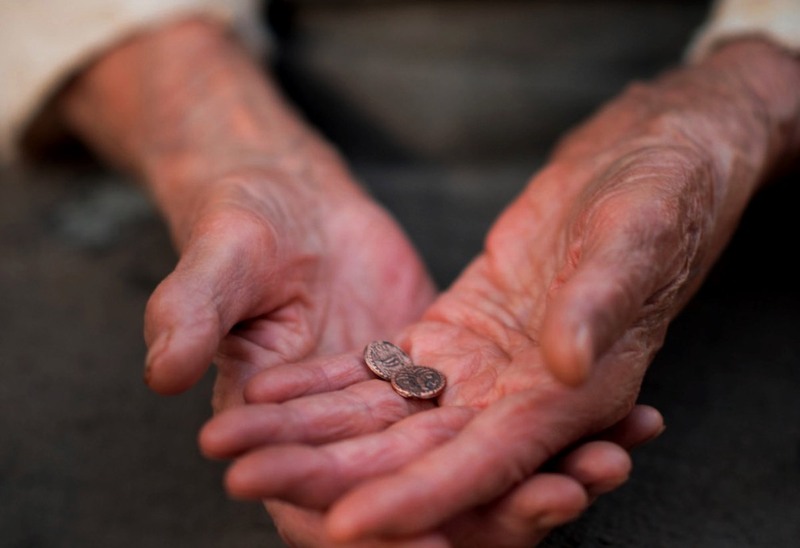 He says, “Truly, I say to you, this poor widow has put in more than all those who are contributing to the offering box. For they all contributed out of their abundance, but she out of her poverty has put in everything she had, all she had to live on.” She had placed her trust firmly in God. And Jesus stripped of everything out of His poverty put everything He had on the line at the cross in His crucifixion trusting His heavenly Father without fault. Loving you with every breath He struggled to take, with every drop of blood He shed. And in that love, in that blood, He washed away your sin and your failure to sacrifice of yourself for the good of others, for the care of your neighbour, for every time you fail to volunteer and are conscripted to do your part. 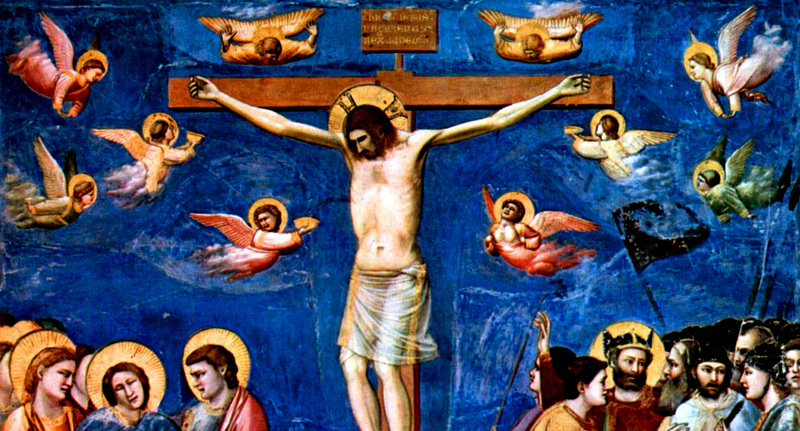 The one who made time itself allowed His time to run short at the cross so that you will have the gift of Eternity with Him in paradise, in Heaven. 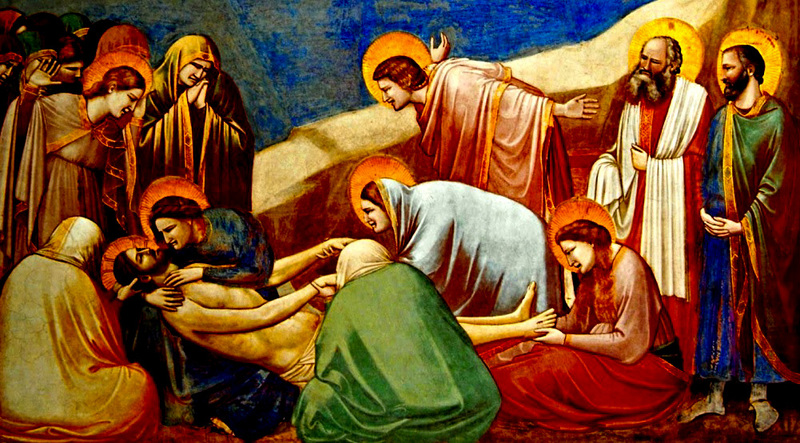 So today we honour our dead, and we trust that we will see them again that have their faith in Christ Jesus and are hidden away in Him until His appearing on The Last Day. 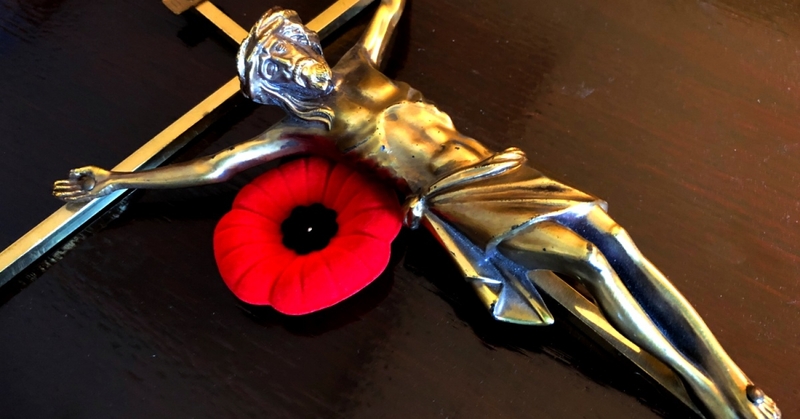 They have metals for their service and Canada as a nation gives metals still to those who have earned them but serving others ought not to be done to get medals and awards. People who seek these things are like the ones Jesus warns of in the first part of our reading. There is good and right and proper honour, like Saint Paul says, “Pay to all what is owed to them [in this case] … respect to whom respect is owed, honor to whom honor is owed.” Yet the Christian who receives honour for their Sacrifice needs to be careful always to point away from them to Christ Jesus, point to His Cross and passion, His crucifixion, love, obedience and faultless trust in His Heavenly Father. In the millions who died in WWI and WWII and in the wars that have come since then it may seem like a small thing, like “two small copper coins, which make a penny,” that the son or sons of a farm family in some small farming community should go to War and give their lives but truly such families such young men put in everything they had, all they had to live on in some cases. And when you add up all the death in all the world that have happened from Adam and Even to this very day it too may seem like “two small copper coins, which make a penny,” that the son of a lady named Mary put in all He had at the Cross and died yet this son Jesus, the Son of God, the Son of the Virgin Mary brought forth from His Sacrifice a victory like no other, an Armistice that on The Last Day will bring eternal peace and comfort. It starts with Him, and we give of what we have as Christians because of what He gave for us, just as 1 John chapter 4 says, “We love because [God] first loved us.” And every son who died with their faith in Jesus will be raised to new life, resurrected to eternal life with you and I in Christ and they and we “will [find] our lowly body to be [transformed to be] like [Jesus’] glorious [resurrected] body, by the power that enables Him even to subject all things to Himself. Therefore, my brothers, whom I love and long for, my joy and crown, stand firm thus in the Lord,” forgiven, loved, and prepared to serve our neighbour in Christ Jesus our Lord to the glory of God the Father. Amen. Lord have mercy on us, Christ have mercy on us, Lord have mercy on us, “take our minds and think through them, take our lips and speak through them, take our hearts and set them on fire; for the sake of our Lord and Saviour Jesus Christ, Amen.